We hope you all enjoyed a wonderful 4th of July! Here in Maine we’re appreciating all the beautiful sunny weather we’ve had – and we invite you come to Maine whenever you can to enjoy all our beautiful State has to offer. You could even stop in Windham to try our new 12, Lane State of the Art Shooting Range. Yes, we have Rental or Try Before You Buy Firearms! If Varmint Hunting is part of your future plans, consider one of our superbly accurate VEX models. This month we are featuring the R20FSSFTWS-EN-1 model. What – you might wonder – does all that alphabet soup mean? R20F indicates a 20″ barreled rifle fluted for light weight; SS describes the 416R Stainless Steel barrel material; FTWS says that this model features a full laminated stock and forend set of Maine Birch Hardwood; and EN indicates the unique Electroless Nickel finish on the forged aluminum receivers. The VEX series is specifically chambered for .223 Rem. to handle the heavy bullet varmint cartridges most hunters would select – though it will just as easily and safely fire 5.56mm ammunition. This fine Varmint Rifle is shipped with a 5 Round Magazine to comply with hunting regulations, a non-slip and comfortable Hogue Overmolded Rubber Pistol Grip and a set of Picatinny Rail Scope Risers, so all you have to do is add your favorite scope, sight it in and go looking for woodchucks, prairie dogs or coyotes. First make sure the weapon is unloaded and remove the upper from the lower half of the rifle. Using a 1/16″ Allen wrench, remove the bolt catch pin. A long straight Allen wrench as pictured is easiest, but you can also use a small L shaped Allen wrench as well. Place the Phase 5 bolt release in the bolt catch slot and reinsert the bolt catch pin. Tighten down with the Allen wrench. You can also put a small drop of blue 242 Loctite on the threads to insure that the pin will not work loose over time. Now by simply using your trigger finger you can release the bolt from the locked back position. This makes it very quick and easy to release the bolt after a magazine change without having to move the rifle from your target or your left hand from the handguard. If you have any questions about this process, or parts compatibility, please give us call. 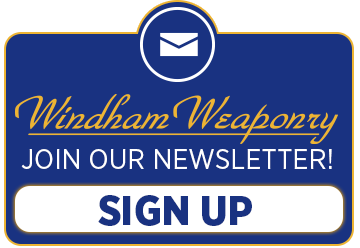 Last Month, we notified you all about Windham Weaponry’s Newsletter Editor, Karen Fogarty – who is also our Assistant to the Vice President of Sales and Marketing. She was struck from behind by an uninsured motorist while riding her Harley on May 21st. This Kit will keep your 7.62x39mm Windham Weaponry Rifle fully functional in the field – a complete selection of the necessary emergency parts to keep your rifle firing. All are top quality Windham Weaponry parts including: a 7.62×39 Firing Pin (note the groove around its head for 7.62 identification); a Firing Pin Retaining Pin; Bolt Cam Pin; 7.62×39 Extractor Cartridge; Extractor Pin; Extractor Spring; Extractor Spring Insert; a set of 3 Bolt Gas Rings; Hammer and Trigger Springs; Disconnector Spring; Hammer and Trigger Pins; a Front Sight post (the taller .040″ height); an A1/A2 Front Sight Adjusting Tool; and a CP-02 Chamber Plug/Safety Tool. Never be without these critical parts in your range bag! I hope that everyone had a fantastic July 4th holiday! I would like to give a personal THANK YOU to all of you out there who have served, and who are serving this great country. We here at Windham Weaponry appreciate you all so much. I’ll be heading to Texas shortly for the Texas Sheriff’s Show that is being held in Grapevine, TX at the Gaylord Texan Hotel. I will be in Booth #708 so if you plan to attend, PLEASE come by and say hello. I will have our prototype AR Pistol with a Folding Arm Brace to show you. Last month I ran a special on the AR15 Pistol with the NEW Arm Brace and I would like to thank all of you that took advantage of thAT special as we sold out in 4 days! 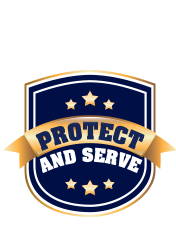 I know that the AR market is in a buying mode right now, but please remember if you are in law enforcement or in the military, and you are in need of one of the best AR’s on the market please don’t hesitate to reach out to me here at Windham Weaponry. We will always be here to fill your needs.